Nothing says "Classic Football Legends" like this 6x8 black cove-edged plaque with a three-dimensional solid resin football scene. 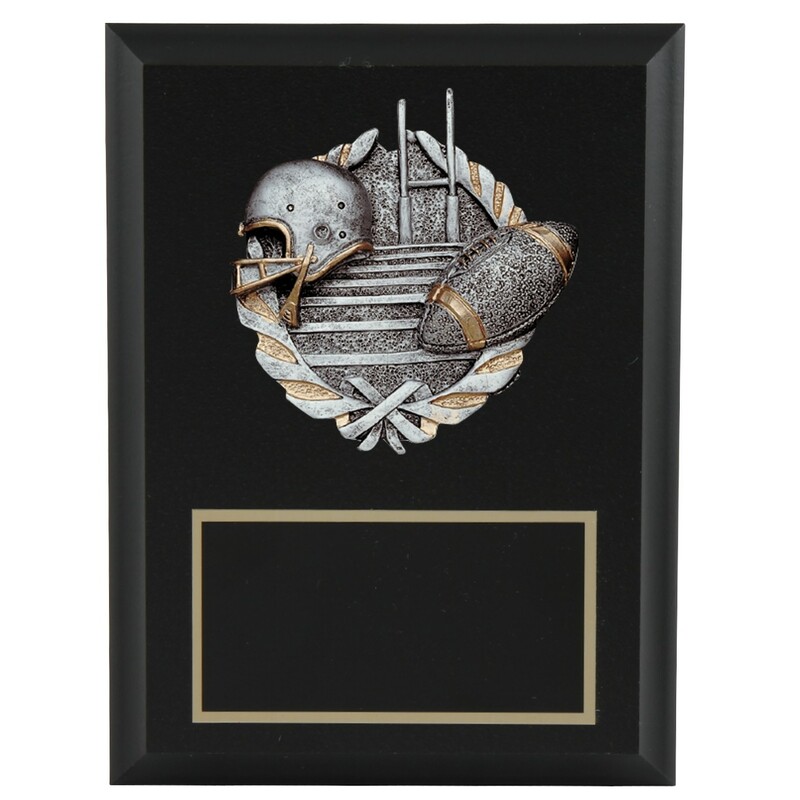 Resembling antiqued silver with gold highlights, this resin award shows a football, goalpost and helmet and is the perfect decor for that spot on the wall waiting for next season's championship memorabilia. 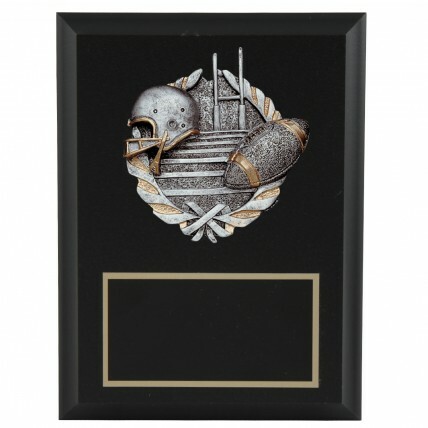 Deck your wall with the Ball and Helmet Victory Football Plaque today!